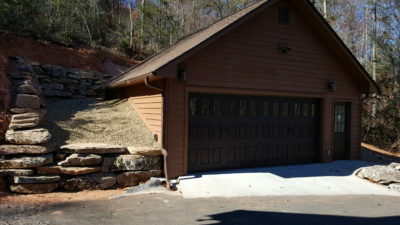 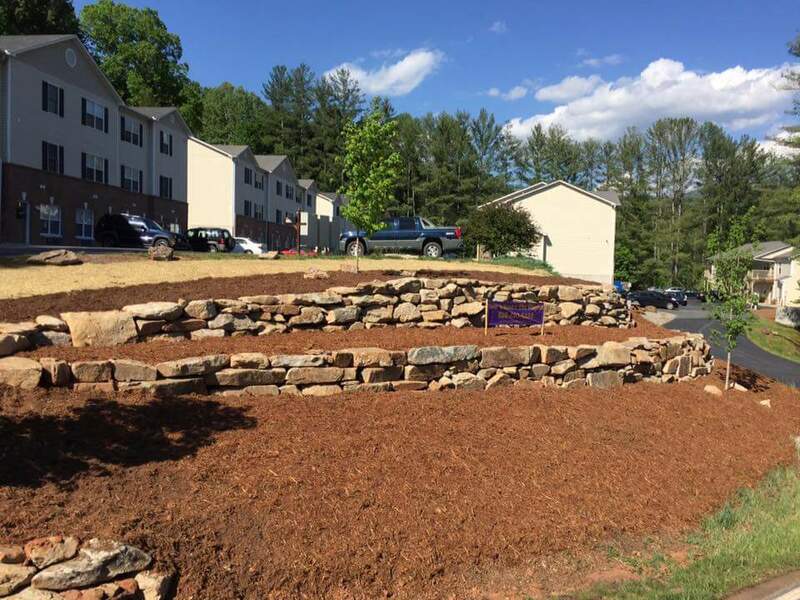 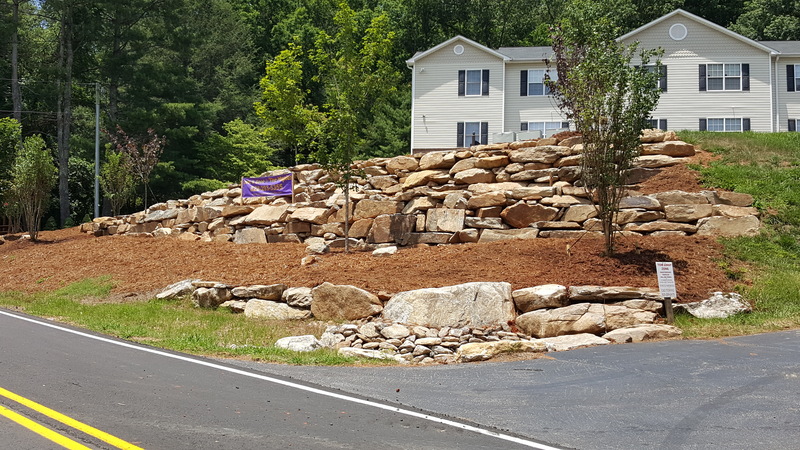 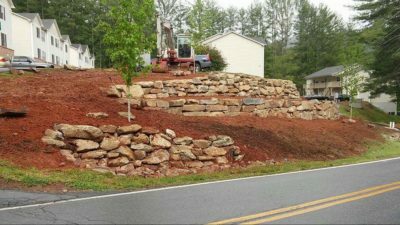 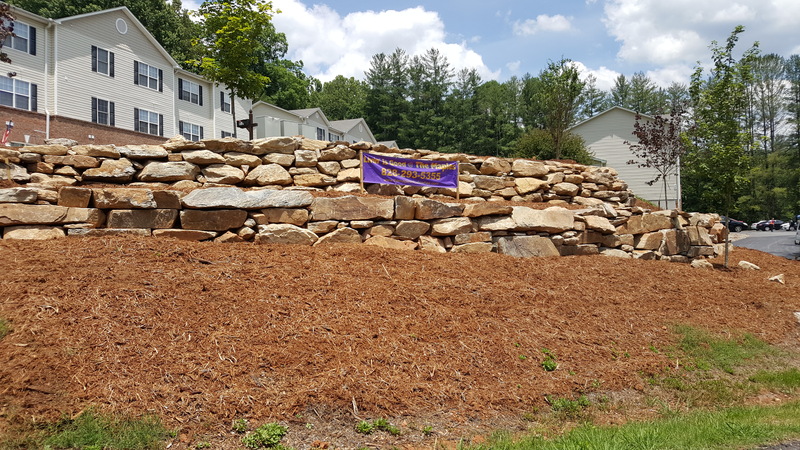 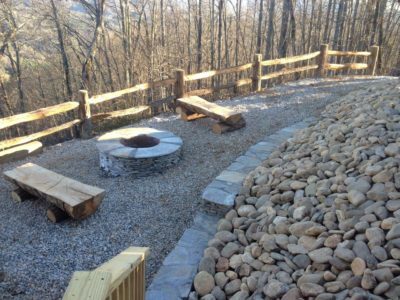 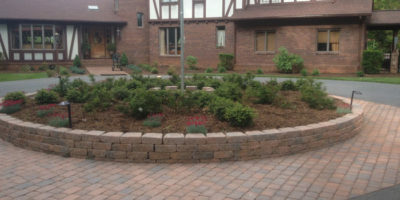 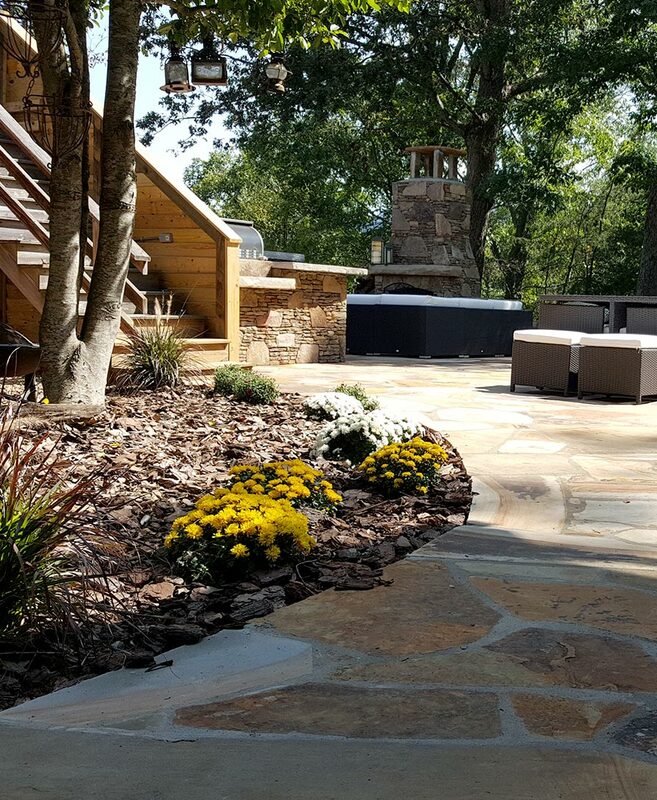 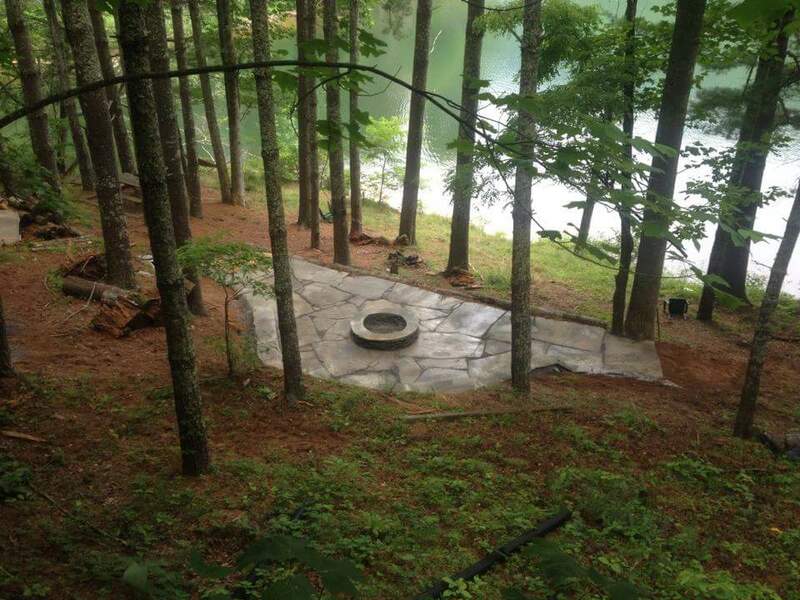 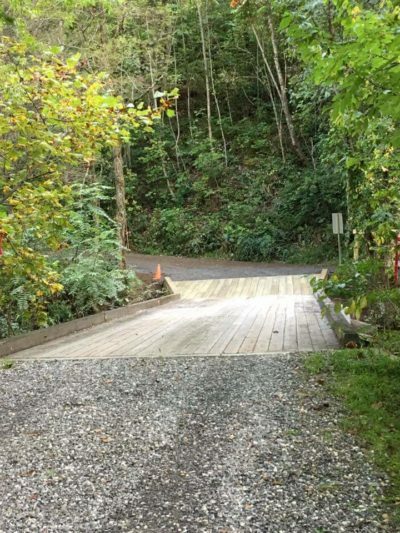 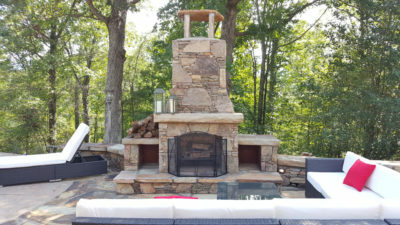 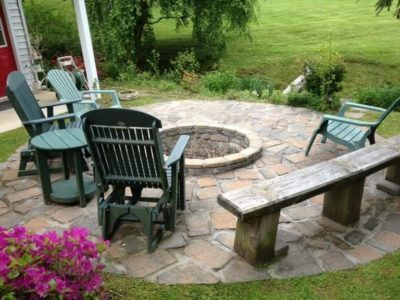 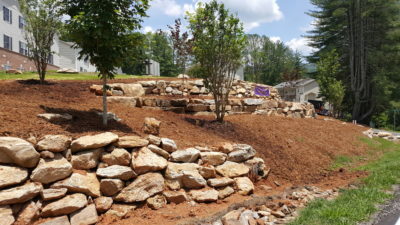 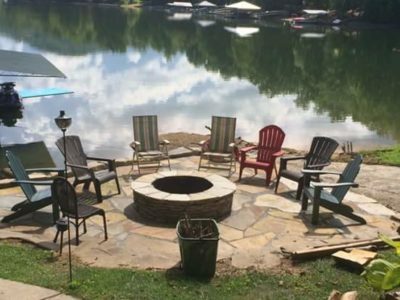 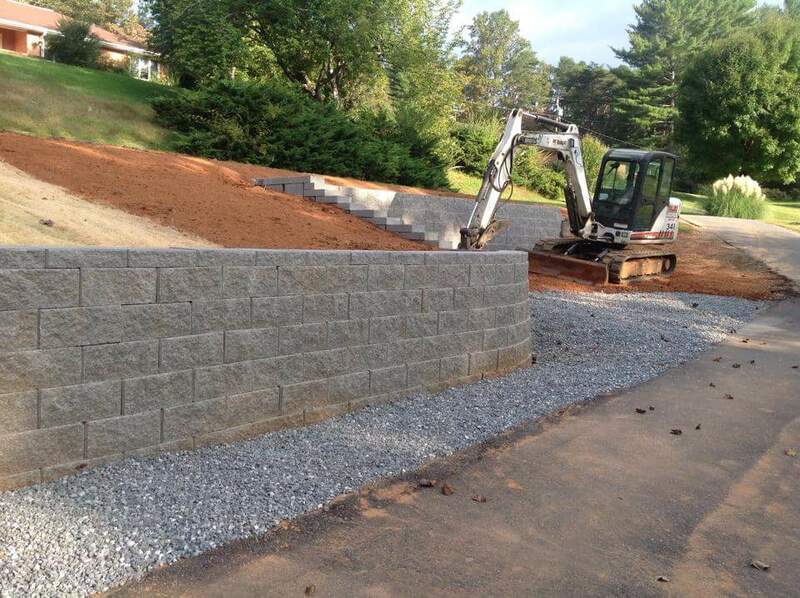 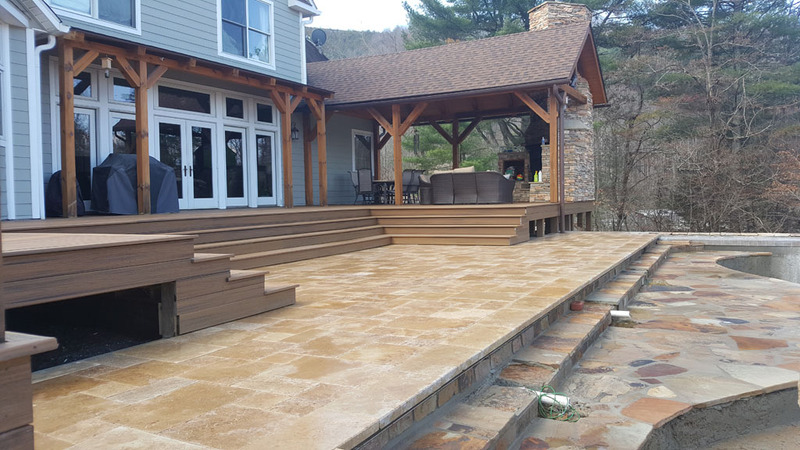 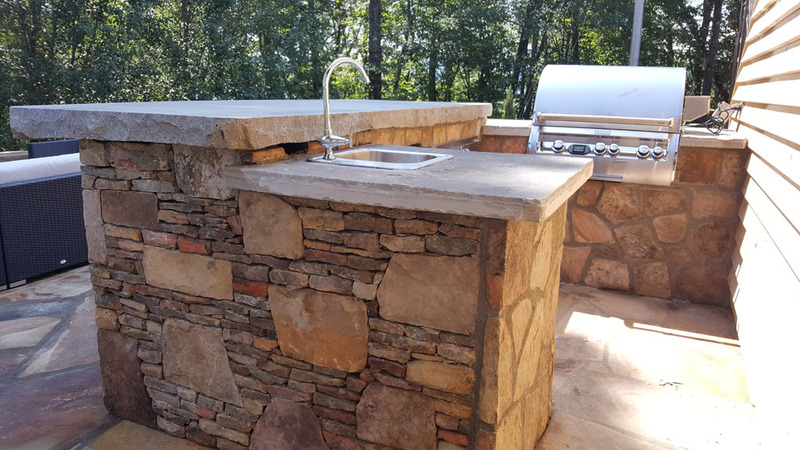 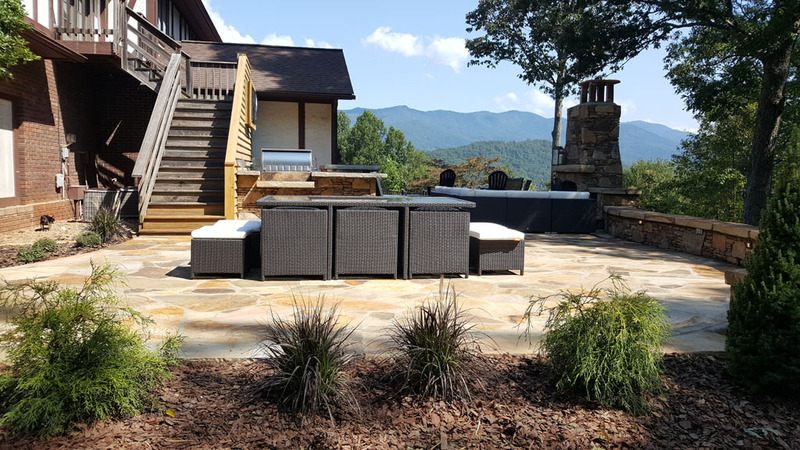 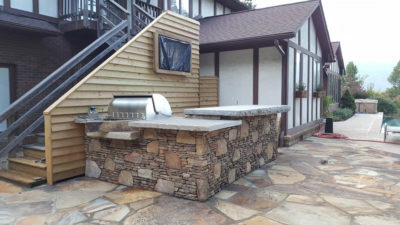 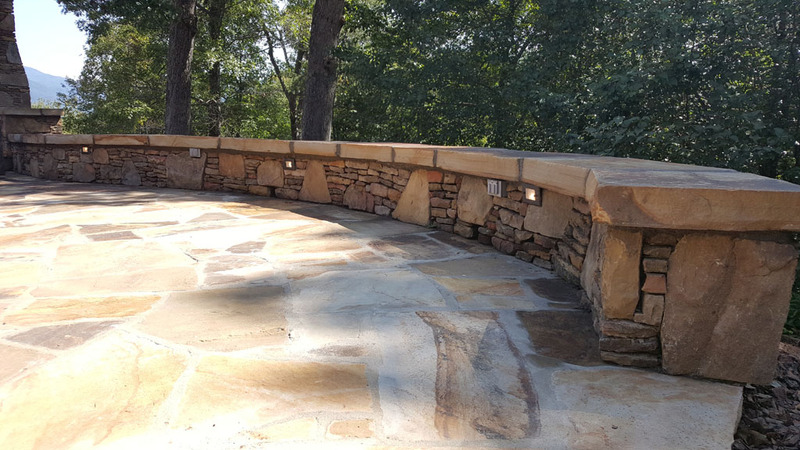 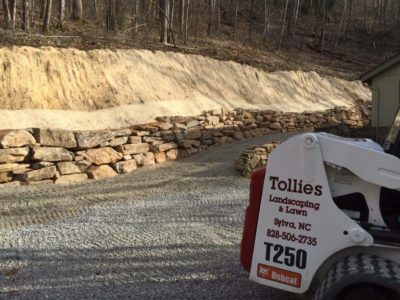 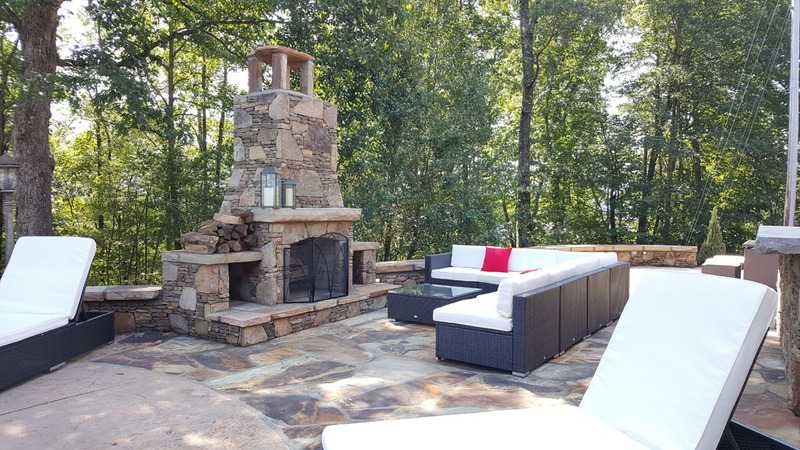 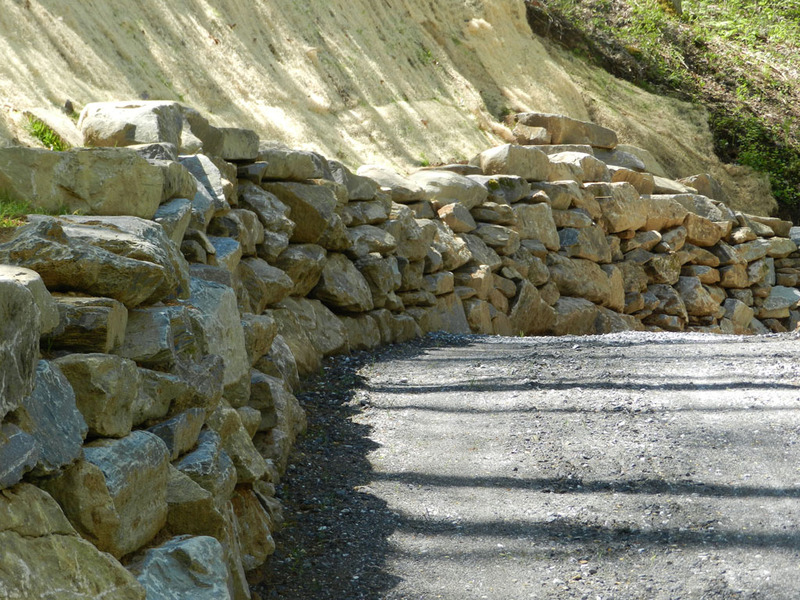 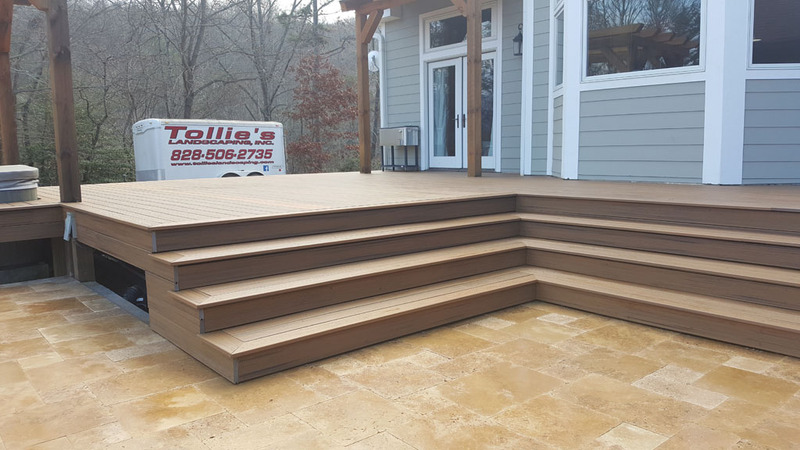 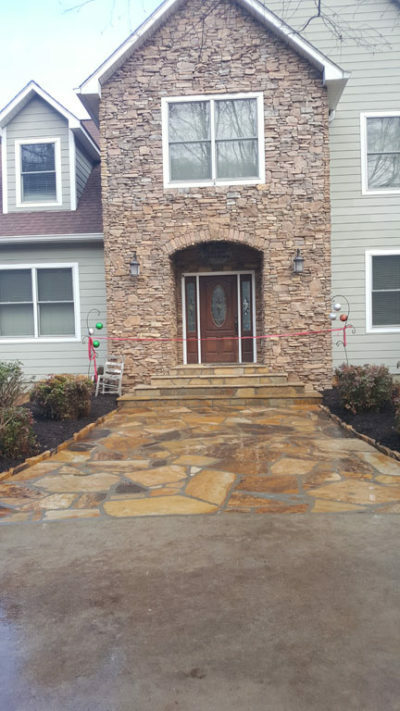 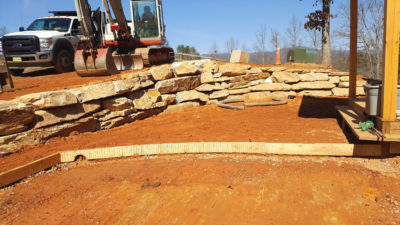 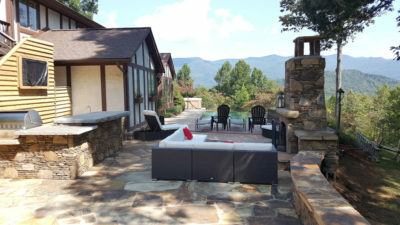 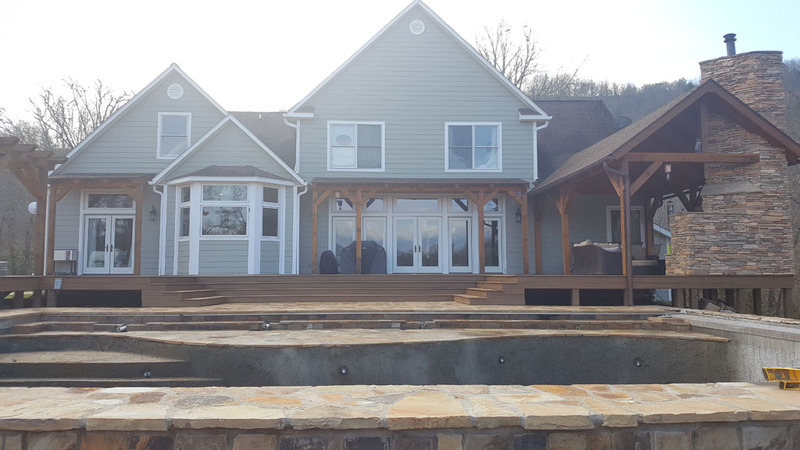 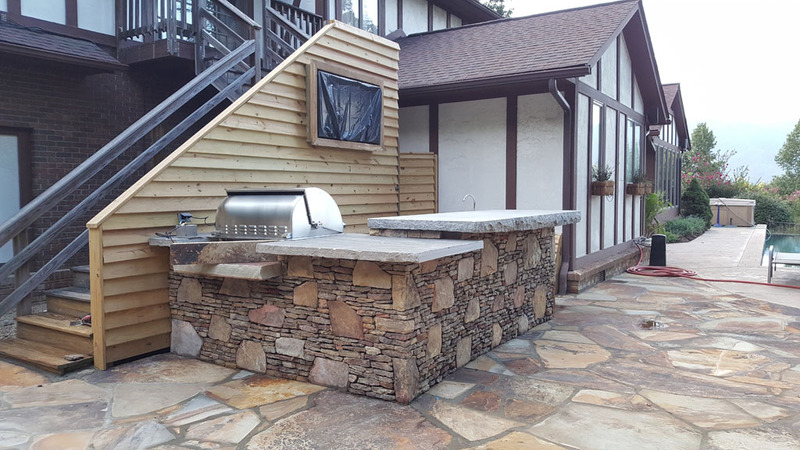 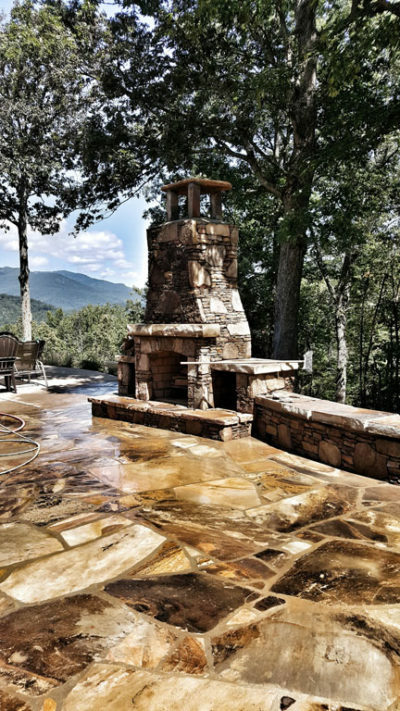 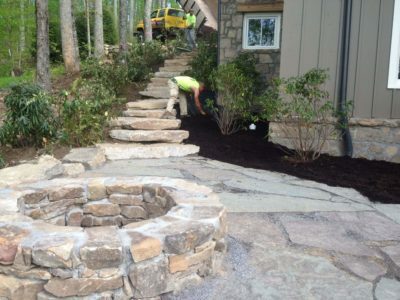 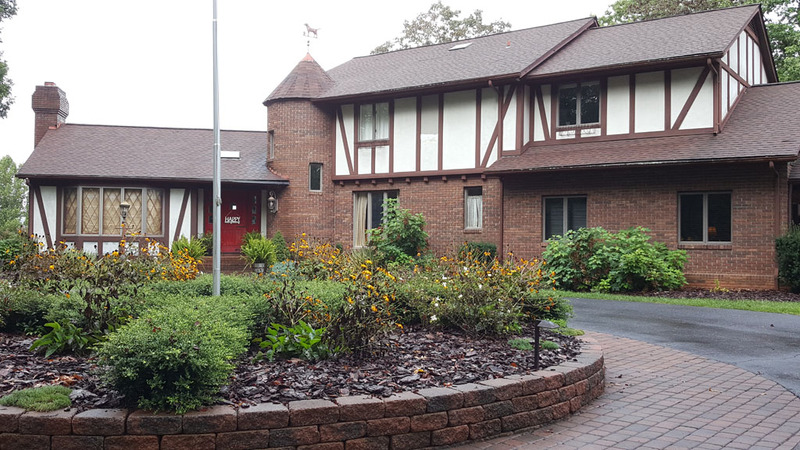 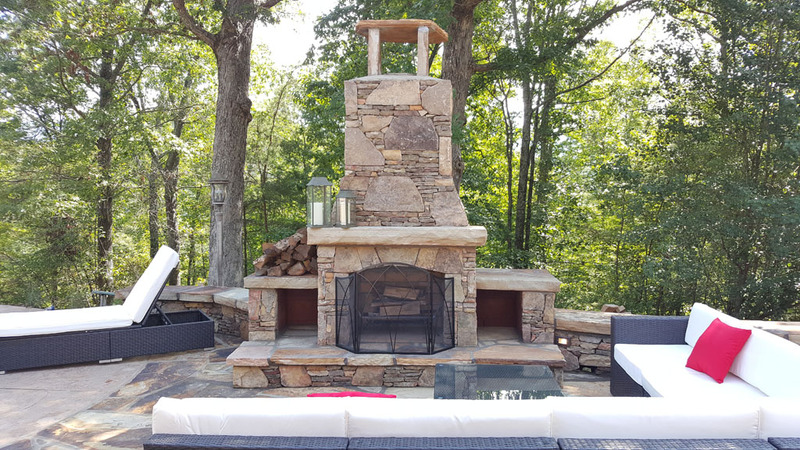 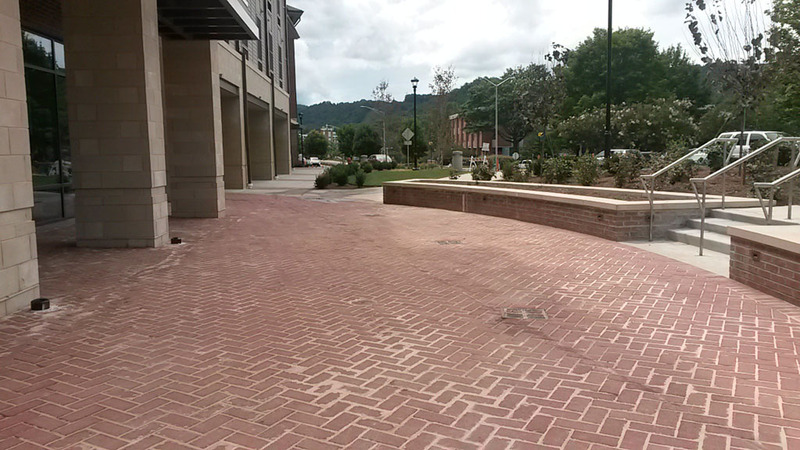 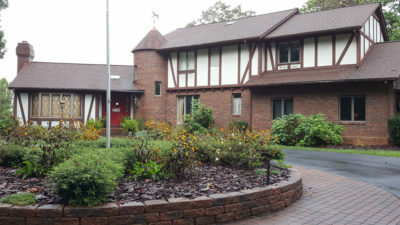 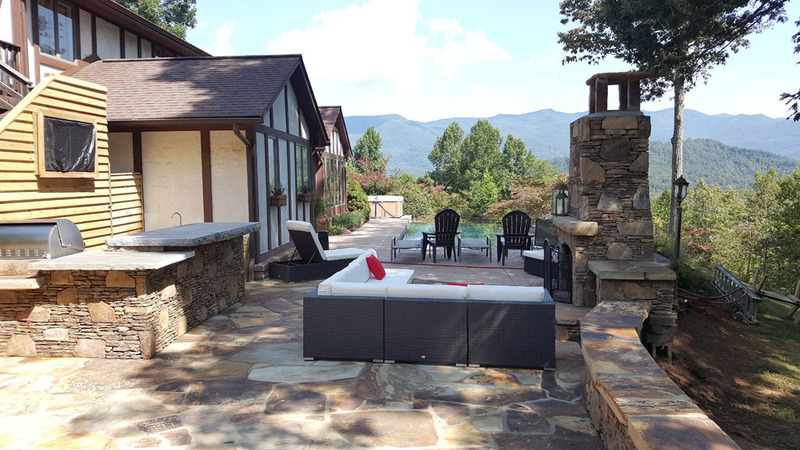 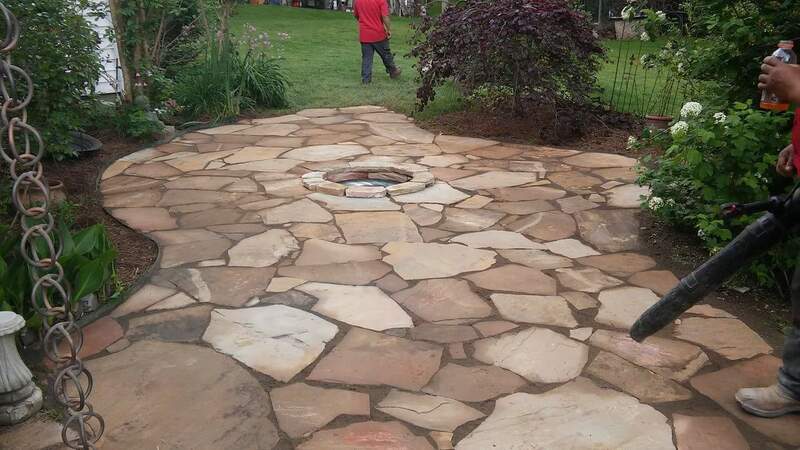 Tollie’s Landscaping & Lawn offers both residential and commercial man-made hardscape features used in landscape architecture, like paths or walls… to all of Western North Carolina. 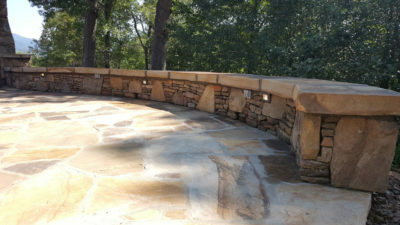 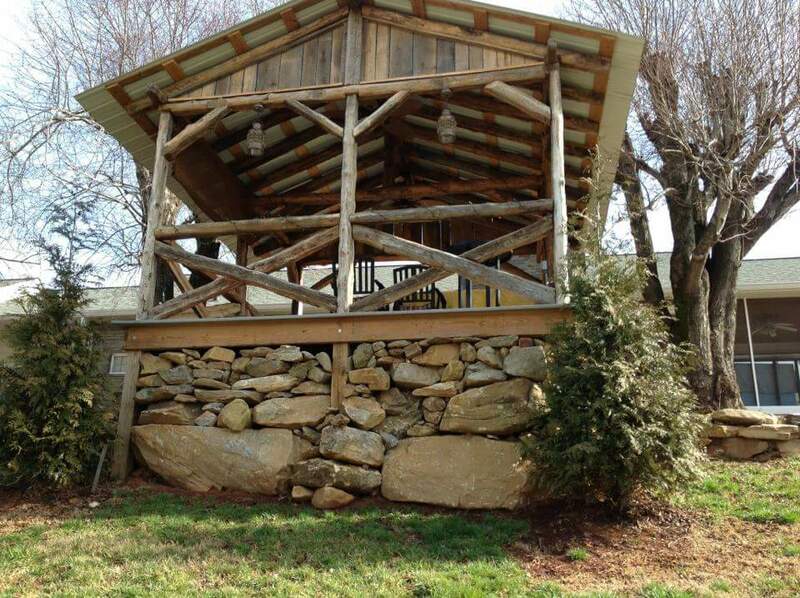 Dry (without mortar) stone work in the hands of a skilled waller is an art form. 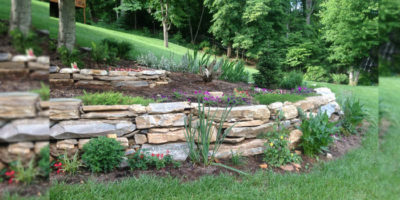 An art form that will last multiple lifetimes and serves multiple functions. Using but one tool; the hammer, and much patience and strength, a skilled waller can lay yards of fence per day. Most modern wallers do not like to shape stones but instead prefer to locate the perfect nature shaped stone. 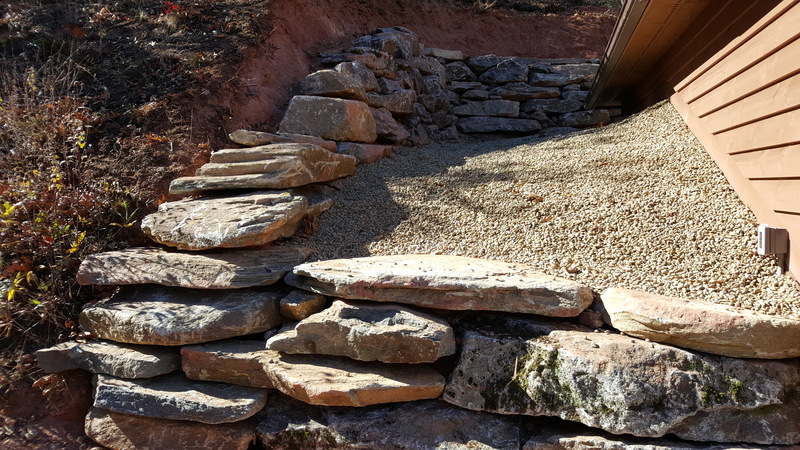 As their eyes have developed an acute sense of space, an experienced waller most times will only pick up a stone once, before positioning it. 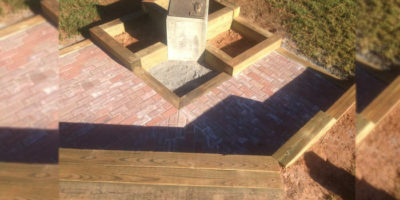 Pavement, in construction, is an outdoor floor or superficial surface covering. 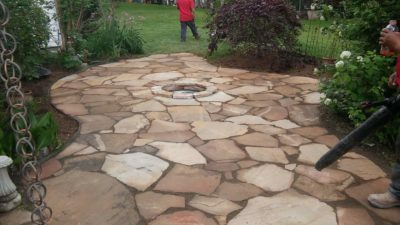 Paving materials include asphalt; concrete; stone such as flagstone, cobblestone, and setts; artificial stone; bricks; tiles; and sometimes wood. 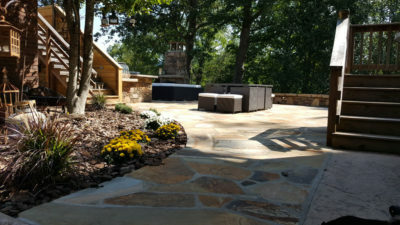 In landscape architecture, pavements are part of the hardscape and are used on sidewalks, road surfaces, patios, courtyards, etc. 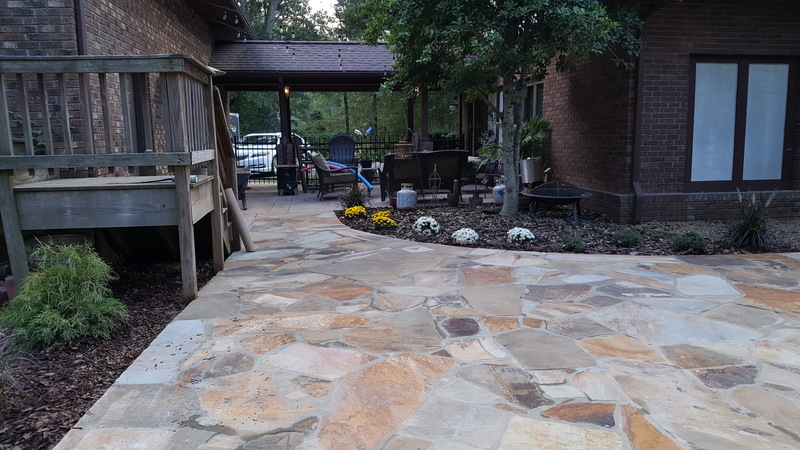 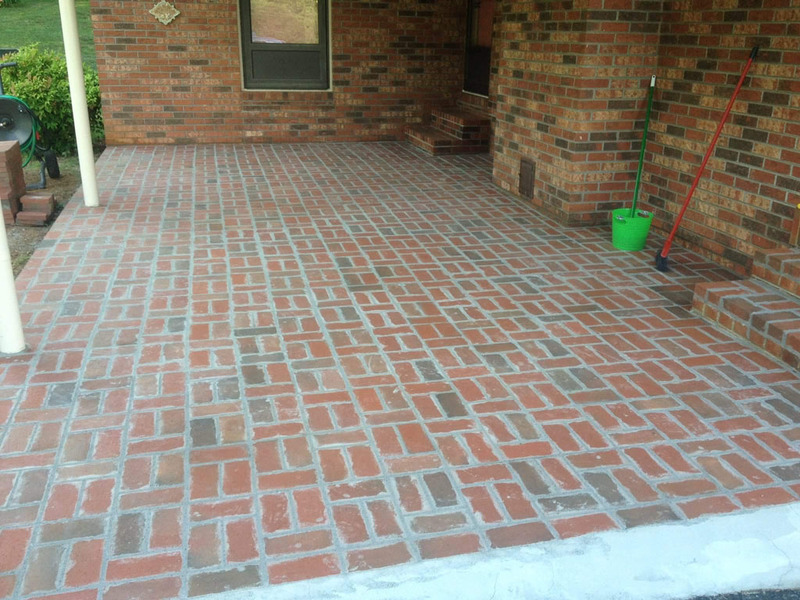 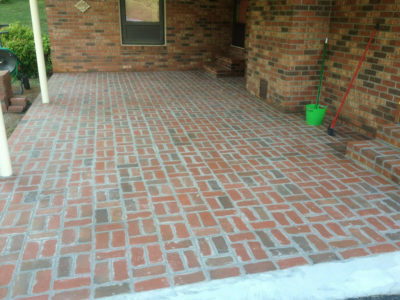 Patios are most commonly paved with concrete or stone slabs (also known as paving flags). Patios can also be created using bricks, block paving, tiles or cobbles. 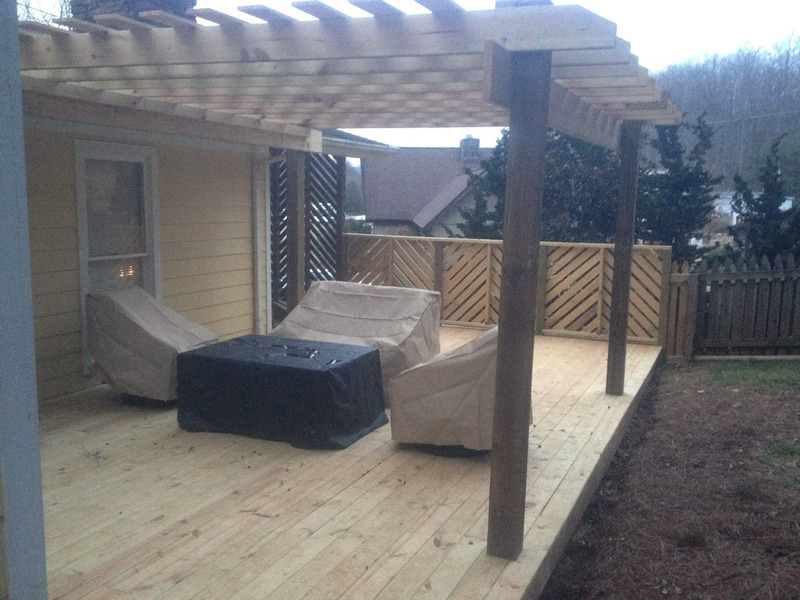 A patio is an outdoor space generally used for dining or recreation that adjoins a residence and is typically paved. 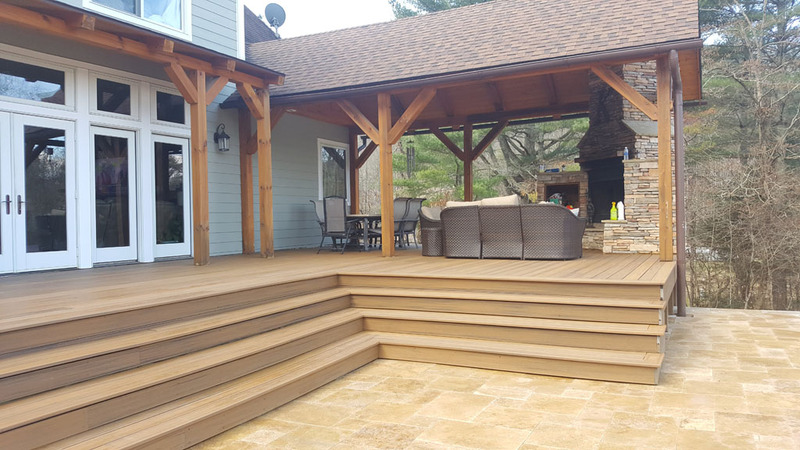 Wood or timber “decking” can be used in a number of ways: as part of garden landscaping, to extend living areas of houses, and as an alternative to stone based features such as patios. 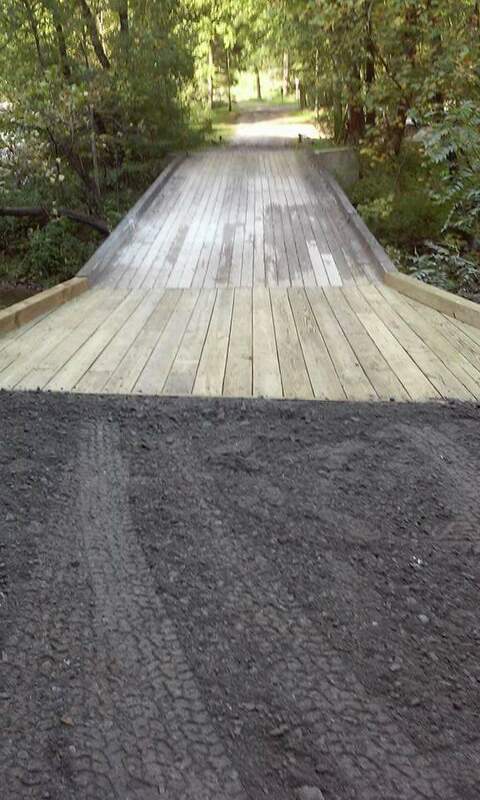 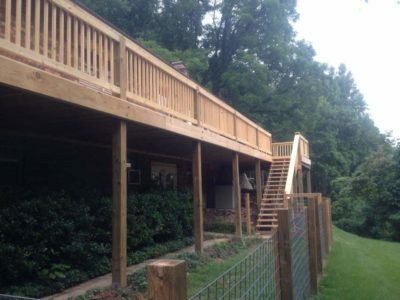 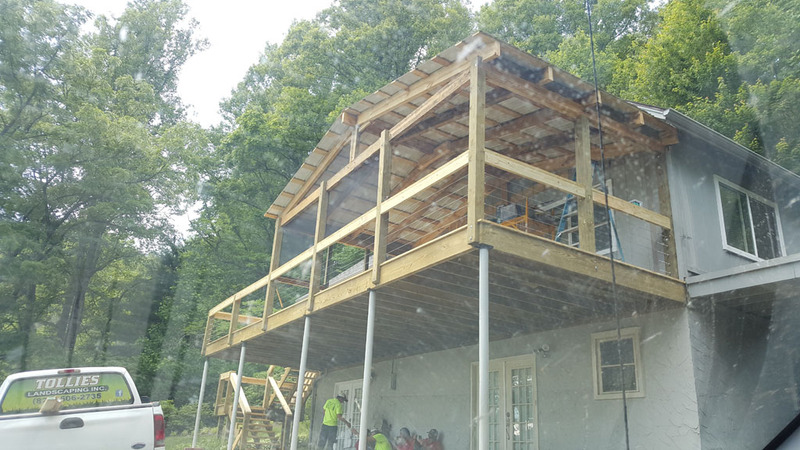 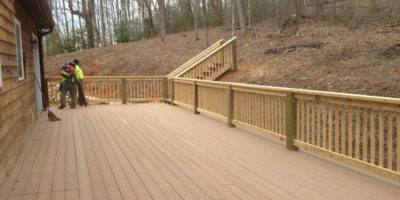 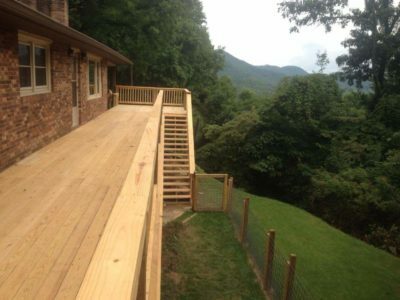 Decks are made from treated lumber, composite lumber, composite material, and Aluminum. Lumber may be Western red cedar, teak, mahogany, ipê and other hardwoods. 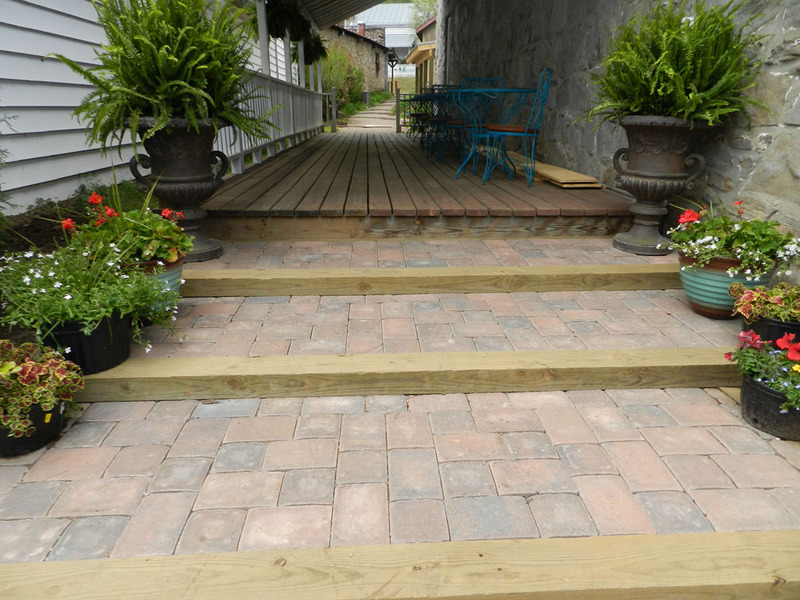 Recycled planks may be high-density polyethylene (HDPE), polystyrene (PS) and PET plastic as well as mixed plastics and wood fiber (often called “composite” lumber). 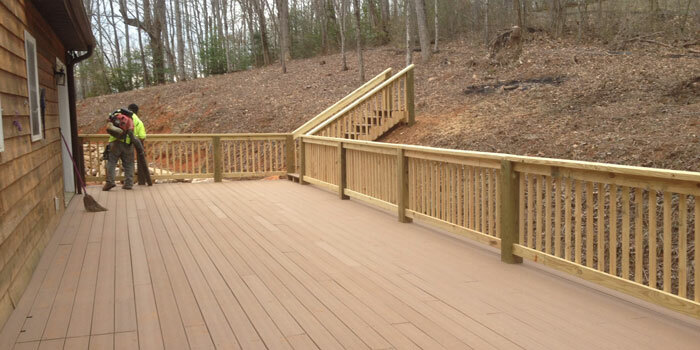 Artificial decking products are often called “wood-plastic composites”.